The Starbucks “Meet Me at Starbucks” campaign (https://www.youtube.com/watch?time_continue=49&v=LZVCLVGymmo) deals with the social issue of people feeling unaccepted. The message Starbucks is sending is that at their store all people are welcome and accepted. This will interest most customers because most people want to feel accepted and want to be able to express themselves, Starbucks is showcasing their stores as a safe zone for all people. The best method of analysis is Cultural criticism because the main message is that Starbucks is a community accepting of all people, which fights cultural stereotypes that people need to stick with their clicks (race, generation, gender, peers, etc.). 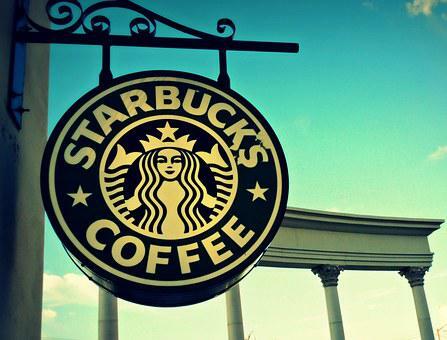 Starbucks’ main interest is to keep and gain customers. The audience is a Functional audience because the campaign is focused towards its everyday customers. This artifact is appealing to customers through ethos by demonstrating the store/company as a community. This will persuade current customers and new customers to keep coming to Starbucks for coffee instead of their competitors. Feeling like one is a part of a larger group can give comfort to many people. A few implications associated with this community message is that some customers will not be accepting of others. For example, if someone is anti-children, how will they feel about children being in the store? Some people might be more concerned with the acceptance of homosexuals, minorities, personalities, and more. The campaign is a collage of video clips of customers, that were taken in one day in 26 counties filmed in multiple Starbucks’ stores. This says that the organization already has a well-known popularity because they have many locations and many customers participated in the creation of the video. A few assumptions we can make about Starbucks through this campaign is that customers mean a lot to them because they are creating a safe space for them. Also, it shows an employee turning on lights referencing the beginning of a new day this shows that their employees are diligent. Through their words and the many customers displayed, the organization is showing that they have created a comfortable and safe store. However, this implies that society needs a safe space of acceptance because much of society is not accepting. I hope that after reading my rhetorical analysis of the “Meet Me at Starbucks” campaign, people will understand how influential companies, specifically Starbucks, and how they do so. I will be directing my attention of Starbucks’ use of community through the appeal ethos and the benefits and implications that come with this.